Your Toyota is your pride and joy, and in a perfect world, you’d be able to keep it looking as pristine as it did the day you drove it home from the dealership. But the world isn’t perfect. Accidents happen, and badly maintained roads, the natural elements, and less-than-careful drivers can take their toll on your beloved Toyota. When your Toyota needs body work, you want to turn to an auto care facility you can trust completely to do a great job and not inflate the cost. 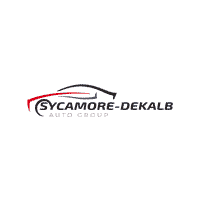 For Toyota owners in the Sycamore and DeKalb areas, that facility is Sycamore-DeKalb Auto Group’s Certified Toyota Body Shop. Our team of technicians is skilled at working on all Toyota models regardless of age or condition. And they are experts on the ins and outs of your Toyota. That means they have all the knowledge, tools, parts, and training to get your Toyota back to the top of its game without missing a beat. And that’s not all! If you have any questions about our Certified Toyota services or want to speak with one of our experts about the best way to repair, refresh, or renew your Toyota, contact us today! Auto body work can cost a pretty penny, which is why many drivers are content to let dents and scratches remain where they are. But you don’t have to let unsightly damage from a collision or force of nature drag down your Toyota’s value. Not when Certified Toyota auto body work can be as reasonably priced and high quality as it is at our shop. We value your Toyota and your business, so we will do everything we can to ensure that the work gets done to your complete satisfaction, and without the sticker shock that so often accompanies body work at other service facilities. Schedule your appointment today and get your Toyota back to its prime!